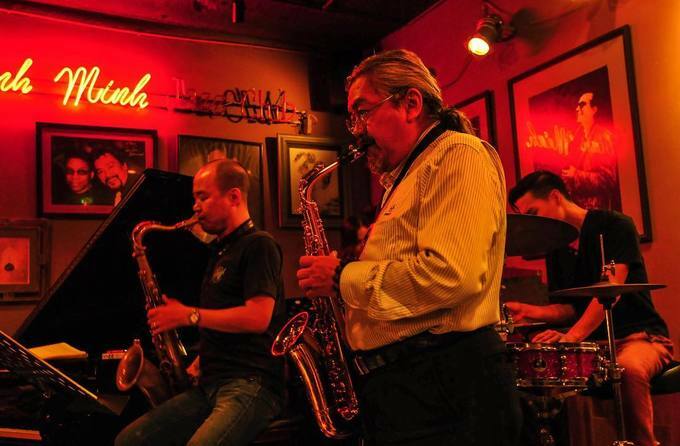 Cocktail, jazz music and night time are inseparable factors when it comes to entertainment. 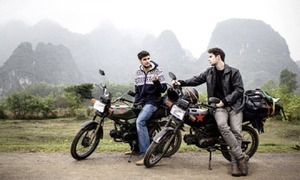 Listening to jazz in a Southeast Asian country must be an unforgettable experience for foreigners coming to Vietnam. 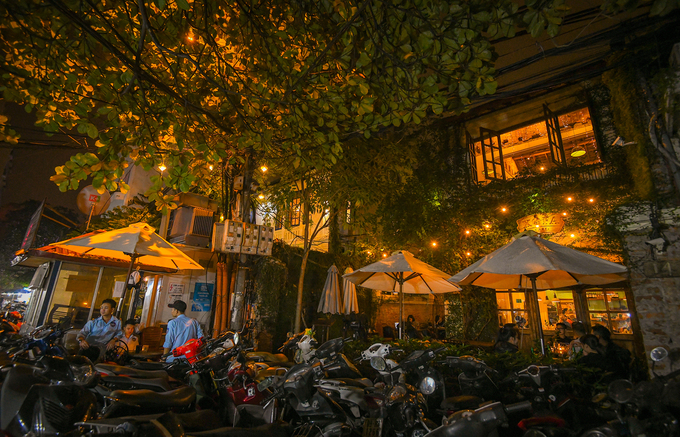 There are many bars where jazz is played in Hanoi, mostly in the Old Quarter. The musicians play usually from 9 p.m. to 11.30 p.m and the theme changes daily. 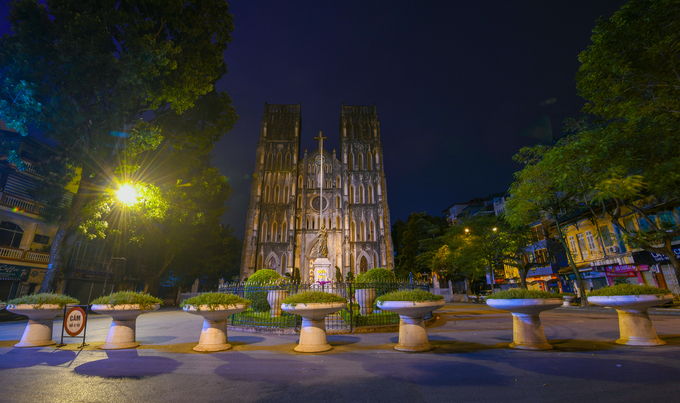 A night tour of Hanoi should start from Ta Hien, the busiest street at night, in the Old Quarter. 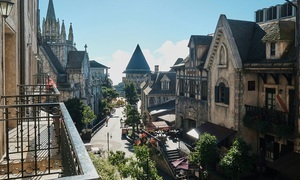 On this 100-metre-long street are numerous restaurants and bistros close to each other, famous for their beverages and appetizers. 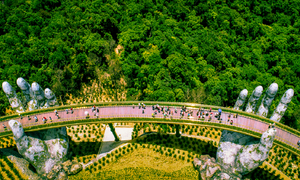 The picture above shows Ta Hien at midnight. 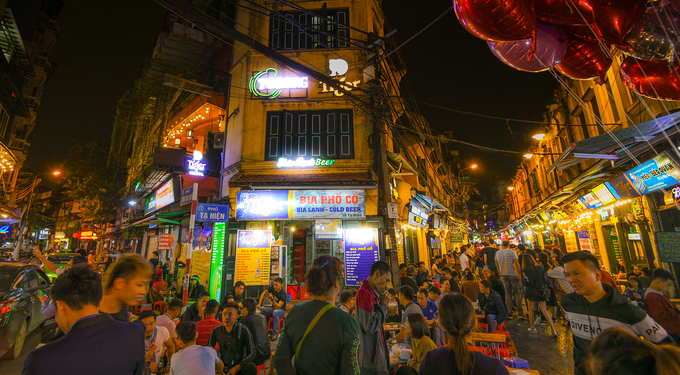 According to many tourists in Hanoi, 11 p.m and after is the most exciting time at bars and clubs. The clubs offer a wide variety of beverages at various price ranges. 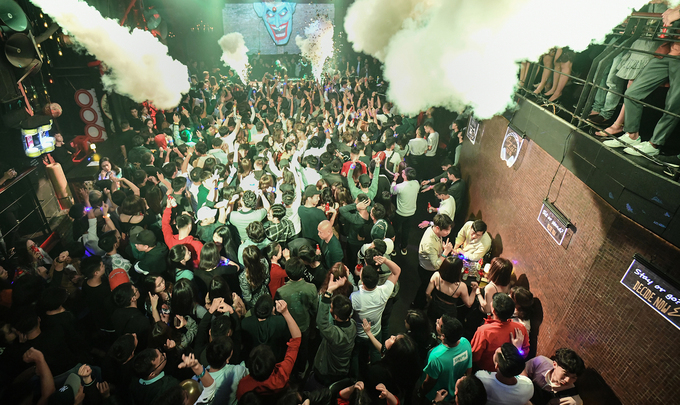 It could cost from VND100,000 ($4.29) to tens of millions of dong (hundreds of US dollars) for a night in the clubs with electronic dance music. 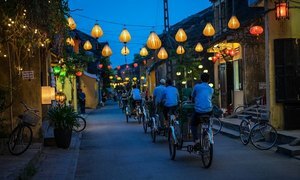 Hanoi’s Old Quarter is a changed place at night. The streets are quiet and peaceful. Compared to daytime, the Old Quarter does not provide many beverage choices at night. Besides convenience stores and vending machines, iced tea sold by street vendors is an option for people who prefer to hang out with friends on the banks of Ho Guom in Hanoi's centre. 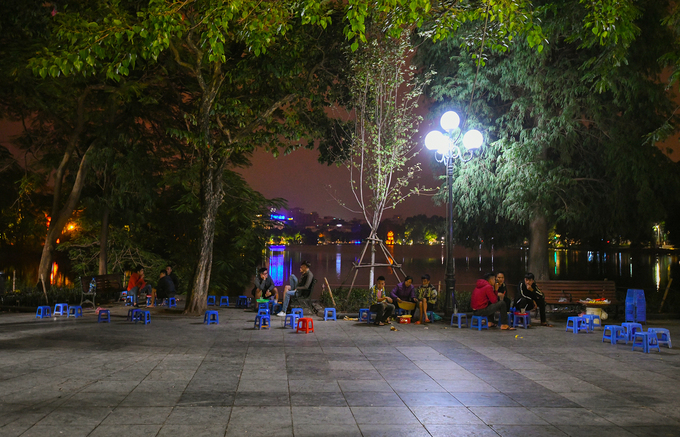 Drinking iced tea or lemonade by the lake is a must-try experience for travelers wandering around the city at night. 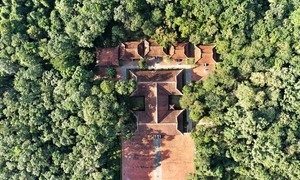 If it’s too crowded to take a picture at the church during the daytime, you should come here after midnight. The church becomes even more magnificent after the city falls asleep. Dong Xuan Market is busy even at night with its bustling restaurants. 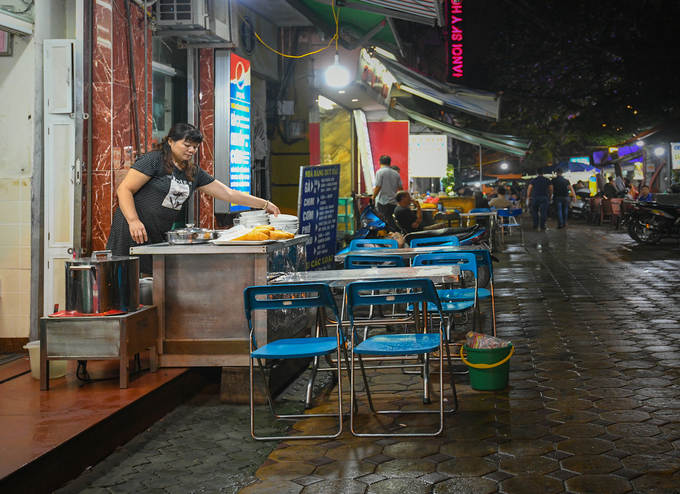 Many eateries are situated close to each other in the small alleyway next to the market on the side of Hang Khoai Street. The popular dishes there are beef hotpot, rib hotpot, and rib porridge with fried dough sticks. 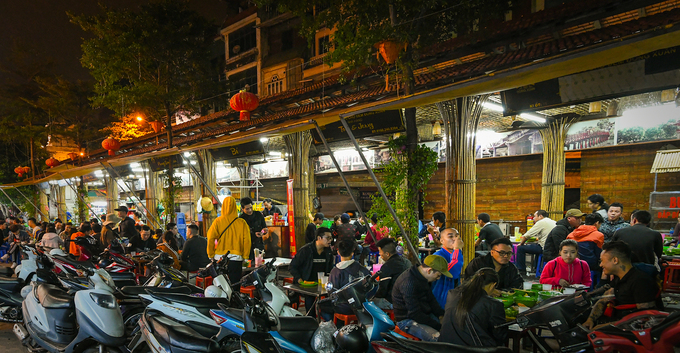 Tong Duy Tong in the Old Quarter is known as the ‘food street' of Hanoi. The restaurants here open all day and offer dishes such as hotpot, stewed black chicken noodles and steamed rice flour pancakes. 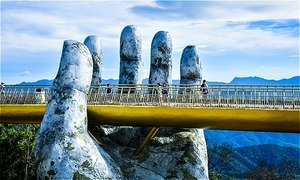 Many foreign tourists who find it difficult to sleep because of jetlag find their way to this street. 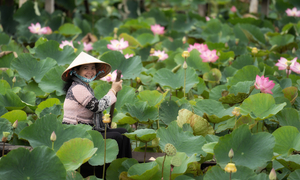 The flower markets in Hanoi open very early. At 2 a.m. the market areas are filled with the noise of vehicles, sellers and buyers. It is busiest around 3 a.m, when retailers and wholesalers come here to buy flowers. As wholesale market areas, they sell many rare and unique flowers. 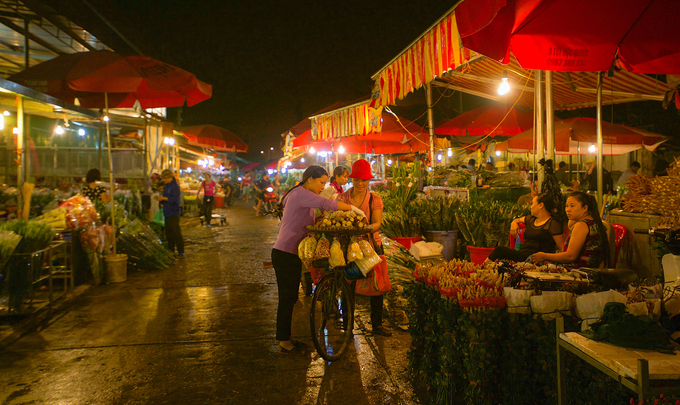 Quang Ba Market in Tay Ho District, for instance, attracts many tourists because of its location near the Old Quarter. The crowds begin to thin from 5 a.m. when the sellers start to take flowers into the streets before the city wakes up. Strange as it might seem, many 24-hour coffeeshops provide sofas for customers to rest. 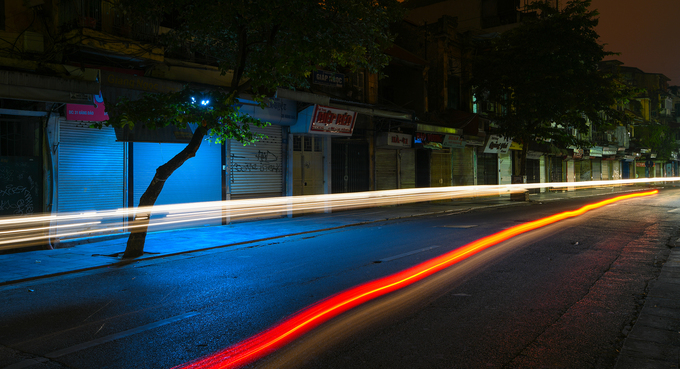 These coffeeshops, mostly on Tong Duy Tan Street, are sought by visitors who miss bedtime and come here to rest before dawn.